Get the latest and interact on Facebook, Twitter or Instagram. I'm glad you're here. If you enjoy any of my books, let me ask a favor: Please tell a friend or two! That's the nicest thing you can do for an author. Next best thing: Post a happy review wherever reviews are posted - Amazon, Barnes and Noble, Goodreads, etc. You might know me, P.W. Catanese, from my fantasy trilogy The Books of Umber, or my earlier fairy-tale inspired novels. But these days, I'm excited about my new series, Donny's Inferno. This is what Kirkus calls "a series that promises continued terror and delight." It's available now from Simon and Schuster/Aladdin. The paperback arrives in April 2017. 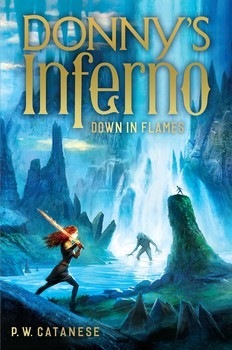 Also in April, the hardcover and e-book of Donny's Inferno: Down In Flames will be available. And the reviews are nice as heck. And School Library Journal says: "Hell has never been so appealing. This engaging sequel catches up with Donny Taylor (mere teenage mortal) and Angela Obscura (archdemon of the underworld) as they slay beasts, fight fantastic creatures, and order takeout. Catanese reprises the memorably dry, witty tone from Donny’s Inferno. VERDICT: A satisfying sequel sure to please readers of the first book, in a series that appeals to fans of the tones struck by Rachel Renée Russell and Rick Riordan." Check your local bookstore. And find links to order online on my where to buy page. The Donny's Inferno books are contemporary comedic supernatural adventures. They are funny, thrilling, and fast-paced, with a big dose of urban fantasy. They each stand on their own, so yes, you can read the second if you haven't read the first. Check with your local bookstore, order your copy online, or download your e-book today! And read the Donny's Inferno page to learn more. The return of two favorites in April 2017. 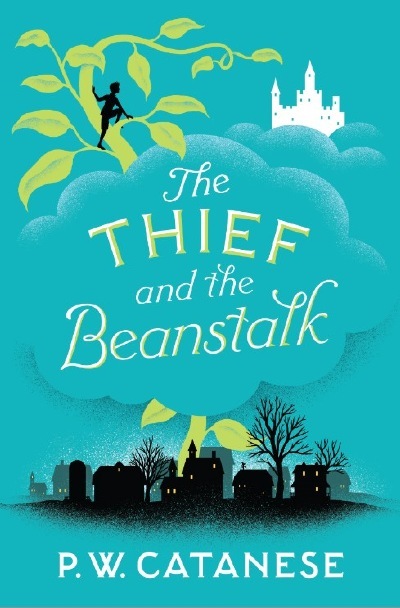 My editor at Simon & Schuster/Aladdin gave me some great news: Two of my earlier books, The Thief and the Beanstalk and The Mirror's Tale, are going to be repackaged and re-released with all new cover designs, in hardcover, paperback and e-book. I am so excited that a new generation of readers will enjoy these stories. 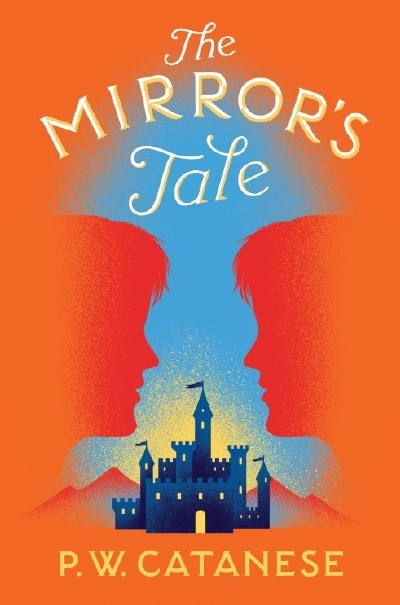 And here is the new cover for The Mirror's Tale, my story about what happens years after the story of "Snow White." Note: If you order a hardcover, you will certainly get the new cover. If you order a Mirror's Tale paperback, you may get the older cover while supplies of that last. You should be able to tell by which cover is displayed when buying online. Officially my novels are for middle-grade readers, but I’m pleased by how many adults enjoy them as well. It all started with The Thief and the Beanstalk back in 2005, followed by four more fairy-tale inspired novels that were ‘sequels’ to classic Grimm’s stories. Then I moved on to the widely honored and acclaimed The Books of Umber. This is an epic trilogy about a boy named Happenstance who might possess the ability to steer human destiny, and the brilliant but unstable adventurer who helps him discover his unusual powers and strange origins. Next up is Donny's Inferno. These have all been published by Simon and Schuster/Aladdin. If you want to buy one, please check with your local independent bookstore first. If that doesn’t work out, the big online booksellers will have them. Most are available as e-books. And if you like to listen, check out the wonderful Books of Umber audio books. When I’m not writing, I also enjoy author events and school visits. This year I'll be visiting some schools for the tenth straight year. So invite away, and hopefully my schedule will allow. Go ahead and interact. I’m chatty.